American Airlines just announced on Twitter that it’s expanding its mobile boarding pass program to 19 more airports. 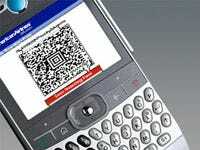 This lets you use your mobile phone to display a barcode for boarding your plane, versus a paper boarding pass. Personally, we’ve found this system to be more trouble than it’s worth — it takes more time to find the barcode in your phone than to pull a sheet of paper out of your pocket — but it’s obviously greener and could help you skip a long check-in line if you’re not checking bags. Previously, American was testing this at four airports — Chicago O’Hare (ORD), Los Angeles International (LAX) or Santa Ana John Wayne/Orange County (SNA). The new airports: Albuquerque (ABQ), Atlanta (ATL), Austin (AUS), Charlotte (CLT), Cleveland (CLE), Dallas/Fort Worth (DFW), Denver (DEN), El Paso (ELP), Houston George Bush Intercontinental (IAH), Jacksonville (JAX), Las Vegas (LAS), Little Rock (LIT), Memphis (MEM), Minneapolis/St. Paul (MSP), New York LaGuardia (LGA), Oklahoma City (OKC), Orlando (MCO), Phoenix (PHX), Salt Lake City (SLC), San Antonio (SAT), San Diego (SAN), San Francisco (SFO), Tulsa (TUL), and Washington Dulles (IAD).